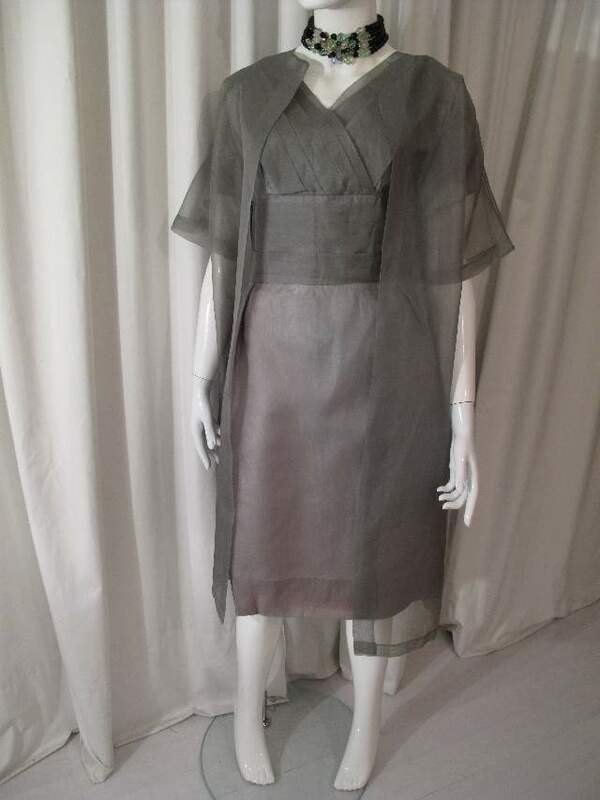 1950's silk organza moss green vintage dress and coat ensemble. Label; 'By Justin' New Zealand. 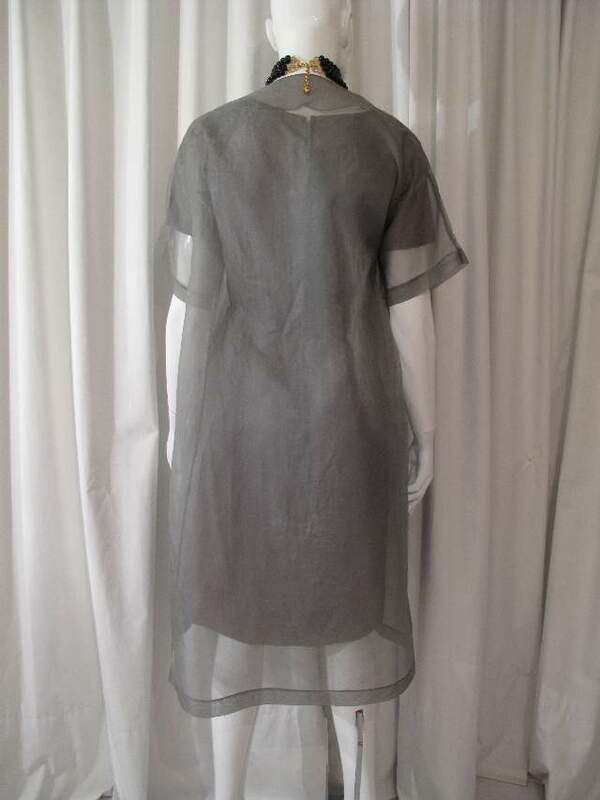 The short sleeved dress has a crossover v neck with knife pleat detail. 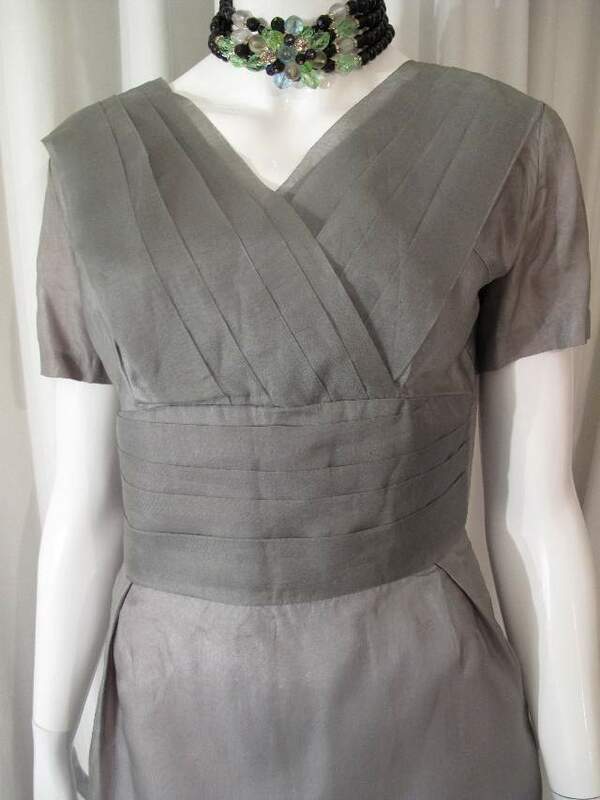 The waist panel has a knife pleat cummerbund effect. The straight skirt has two deep inverted pleats at the hip. 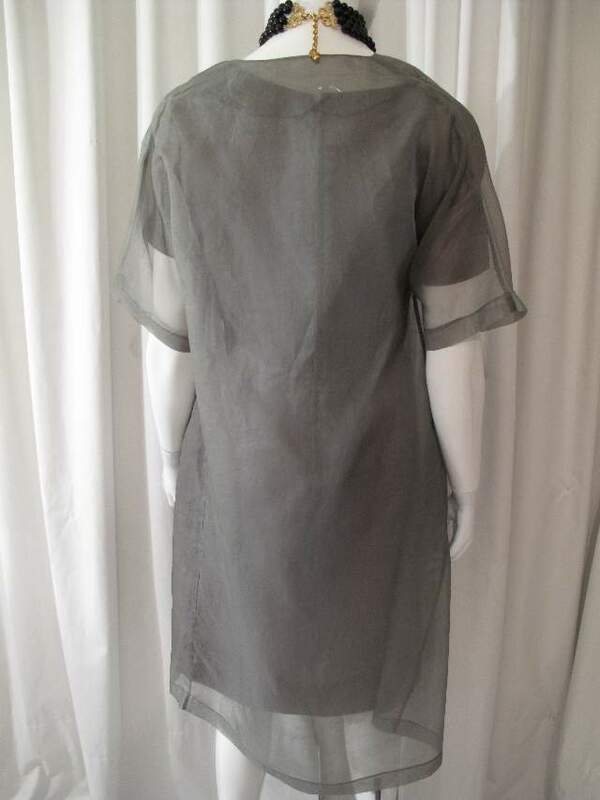 The dress has a back zip fastening. There is a matching collarless short sleeve silk organza coat in the same colour. 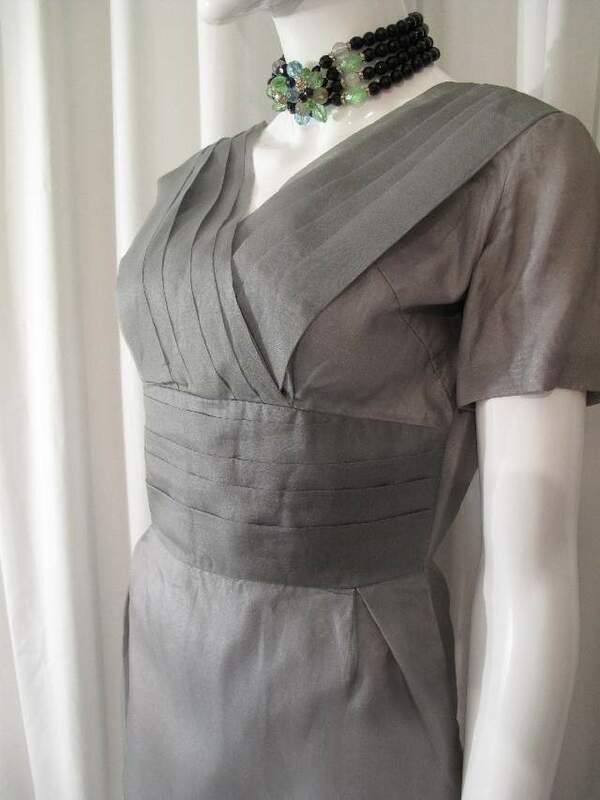 This piece is a lovely sophisticated colour and classic fifties grown up silhouette. Ideal as a chic, cool wedding outfit.